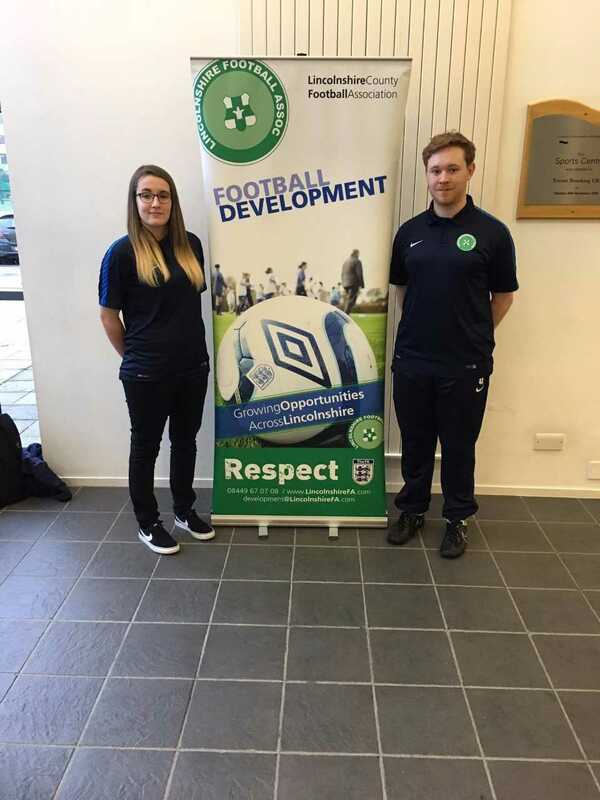 Alongside their undergraduate studies Lauren Comery-Lang and Daniel Sheehan (Sport Development & Coaching, Year 2) have been working as FA Football Activators at the University of Lincoln. This is an excellent experience for students who want to pursue a career in Sport Development. In this short Q&A they tell us all about their experiences. Q: How did you get your current role and how long have you been in post? Daniel: During my first year at University, I heard about two members of Lincolnshire FA coming into speak at the beginning of a second year lecture. As first years, we were invited to attend. I got the position by applying via email, detailing why I feel as though the role would be good for my development and the passion I have for football. Fortunately I was lucky enough to be asked to meet up for what I believed to be an interview, but was offered the role as soon as we begun chatting. 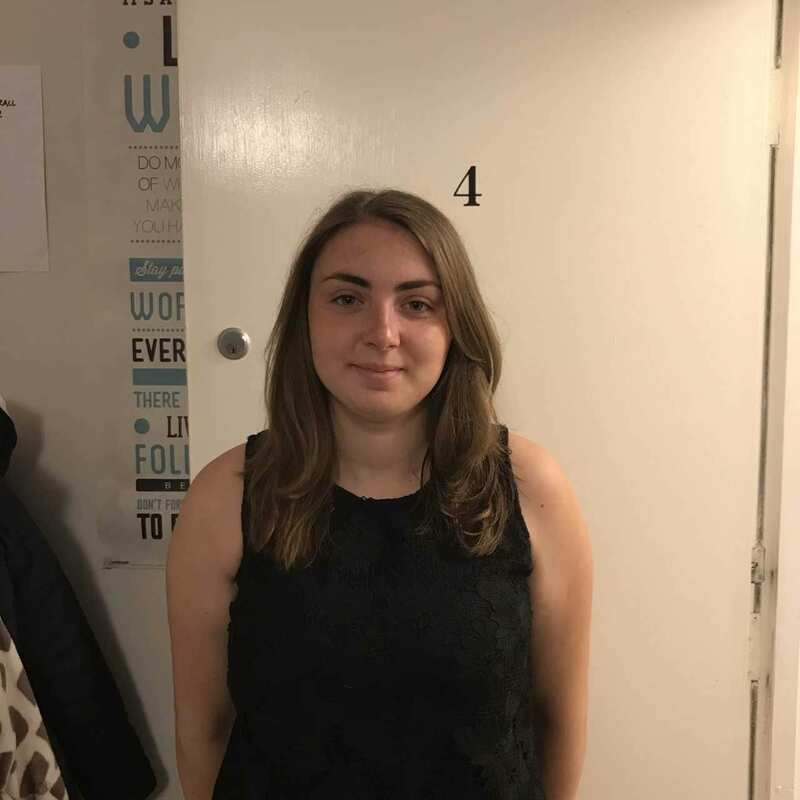 Lauren: I got involved in the programme through seeing a notice on the sports centre screen in the reception with the position advertised. I applied and went through an interview process where I had to deliver a 10 minute presentation about what I could bring to the role and the things I would like to implement. I’ve currently been in post for a year but it looks like I’m continuing for next year as I plan to launch a FE/HE football education development hub which I have created to bridge the gap between completing courses and progressing into the community. This is due to launch in fresher’s week. Q: Can you describe your role? Daniel: My role is the University of Lincoln Football Activator for participation, as which I am required to engage with the university community to organise football opportunities and engage with the students to promote footballing activities. As well as the playing opportunities I have been a part of, I have attended events such as the fresher’s sports fayre to promote opportunities such as coaching, refereeing and voluntary positions. This year, the FA’s aim is to double female participation. Therefore my involvement has been heavily based around women’s sport. 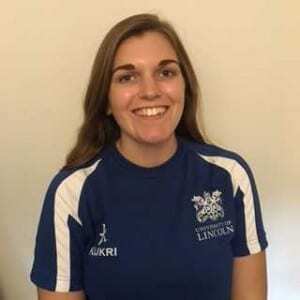 Lauren: I am responsible for the workforce aspect which includes setting up and organising courses, volunteer opportunities and ultimately trying to get people into football. I do more the administration side whereas Dan is involved in participation and is responsible for ‘Just Play’ and other participation initiatives. Q: What skills have you been able to develop as part of this? Daniel: My developed skills have ranged from organisation to communication. Being able to show the confidence to deliver football at the university and stand up in front of others. I believe this role has massively helped me academically, as I now have the confidence to communicate effectively with group work and have learnt how to channel my anxiety. The role has brought out my passion for sport, specifically football and has kept me motivated with my academic studies as well. I have learnt to reflect on everything I do and value the importance of reflection as usually I would shy away from a challenge if something went wrong. But now I believe I can efficiently problem solve and challenge myself. 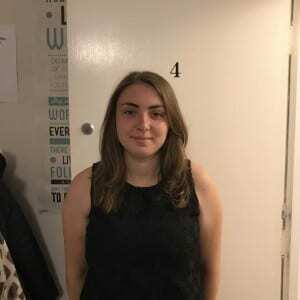 Lauren: Within this role, I have been able to develop communication, my confidence and overall ability to apply things I have learnt on my degree and apply that to practical settings within the work place. Q: Describe some of your key achievements. Daniel: Hosting two social football tournaments this year as well as seeing numbers of Just Play hitting up to 70 students at one session. Organising and facilitating a charity fundraiser with the support of women’s football and women’s rugby societies. Becoming part of the Lincolnshire FA student management team. To further develop my team work and work within the community. Lauren: I think a key highlight for me was getting to go down to Wembley stadium on a conference day and getting to connect with other institutions and create those links which I wouldn’t have been able to without this position. So many opportunities have come from it: I work with the disability development officer on Just Play sessions and league days which I plan to do my dissertation on, I’ve become part of the student management team for Lincolnshire FA with so many events and festivals to plan it is crazy but I love it. Q: What do you think you have learnt throughout this experience? Daniel: I have learnt how to cope with stressful situations as well as the importance of having detailed plans. Being able to adapt in different situations is an invaluable experience, as it tests my ability to think on my feet. I have been fortunate enough to have been selected to attend St. George’s Park Leadership Academy. It has taught me the value of reflection, team work, and interpersonal skills. As well as being a fantastic learning opportunity through workshops around leadership and how to develop football back at the university. Lauren: I’ve learnt so much from this role and it’s made me realise that development is a potential career for me. Q: Can you sum up your experience in three words? Lauren: If I had to sum up the experience in 3 words, it would be extremely difficult. I’ve gained so much from this role and the opportunities keep coming. So 3 words! I would say, brilliant worthwhile experience. This entry was posted in Students and tagged activator, development, football, Lincolnshire FA, SDC on July 24, 2017 by Sandy Willmott.